Click here to learn more and to register online. Click here to register as an event sponsor. 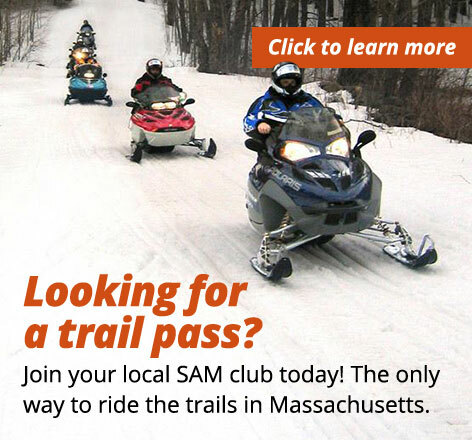 The Snowmobile Association of Massachusetts (SAM) strives to develop and maintain an expanding interconnected snowmobile trail system, allowing snowmobile enthusiasts to travel from Worcester County to the Berkshires, in a safe, efficient manner. What is your favorite type of Snowmobile Racing? Have a poll/survey question? Submit yours here.